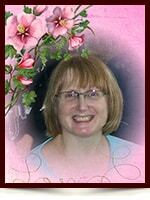 Sandra Lynn Parsons - Edmonton's Burial & Cremation Professionals | Trinity Funeral Home Ltd.
On November 24, 2014 our beloved Sandra passed away at the age of 53. Sandra is survived by her loving parents, Maddy and Ken Parsons; Brother Dave (Kathy) Parsons; Aunty Shirley (Dennis) Tronnes, Uncles: Jim (Barb) Riding, Al Stephenson and Doug (Donna) Parsons as well as numerous cousins and friends. Sandra has gone to meet with her Grandparents. Sandra was a very loving, sensitive person with a great love for music.